Why would anyone go to all the bother of doing a section-sewn hardback when POD services all over the planet will do you a “perfect bound” book at a fraction of the cost? POD is ultimately about economy and convenience; it’s fantastically cheap and that’s a great thing. But POD books are typically “perfect bound”, which means the individual leaves are glued to the spine. This is fine for many books but repeated use will cause the glue to crack and split, and eventually the pages will separate from the spine. 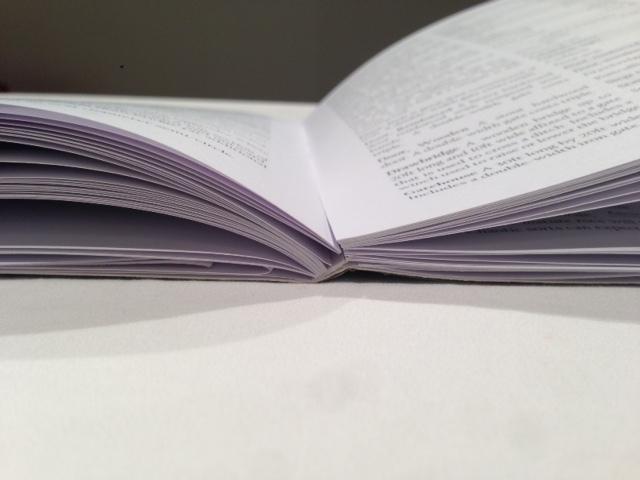 For this reason perfect binding is less suitable for reference books. Perfect Bound Spine Beginning to Split. 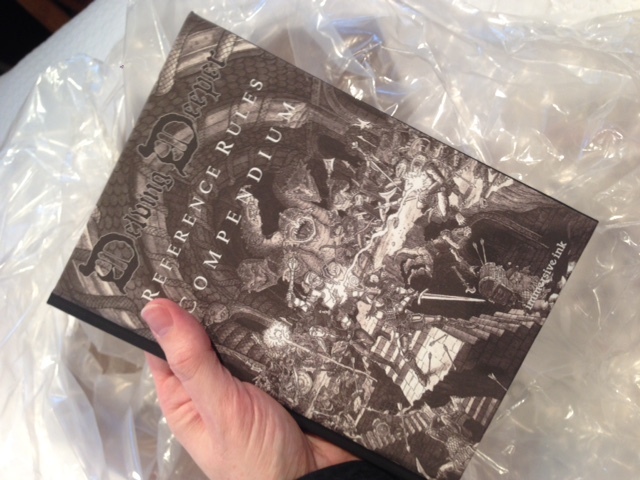 In all I own own four copies of the Delving Deeper Ref Rules Compendium. One of them is sitting on my shelf in virtually untouched condition. The other three copies are work-horses in various states of disrepair due to regular, but hardly unreasonable, use. 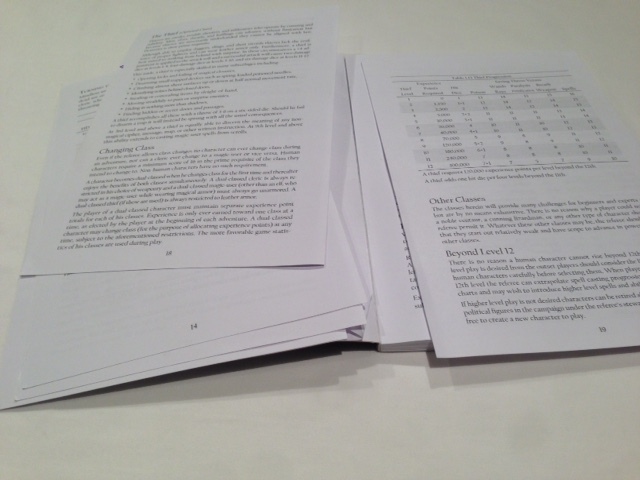 Ref Rules Compendium V4 in a Sorry State. On the other hand, I have a shelf load of AD&D hardbacks printed throughout the 1980s that are still going strong. Of course these more durable books have sewn binding techniques, not perfect binding! How would we fare with UPS shipping? 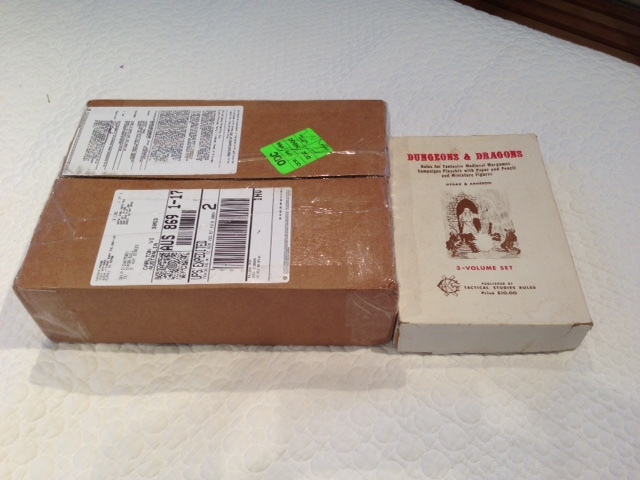 Shipping box compared to OCE boxed set. 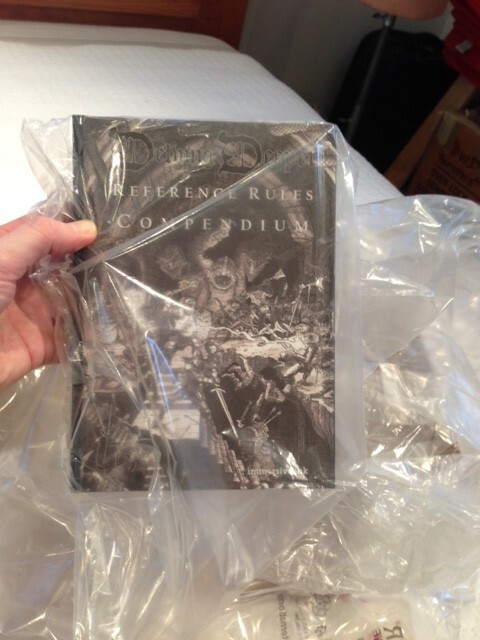 Hardback in a plastic bag. Finally, you’ll come face to face with your book; and have enough plastic lying about to gift wrap a giraffe. The book in hand, at last. In all, UPS shipping looks to be a very sound option in terms of protection. Today, a man in a UPS shirt knocked on my door and handed me a box. 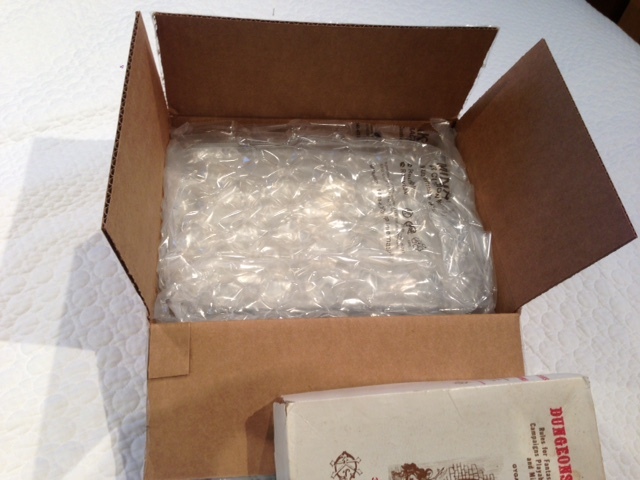 Inside, cocooned in a copious quantity of bubblewrap, were the two DD hardback prototypes. I had already seen photos and had a verbal report from +Cameron DuBeers (thanks Cameron!). However, holding the books in my hands is a whole different ball game! I have to say, the first prototype is a great piece of work. It’s leaf-sewn into a block spine with a glossy, laminated cover, double thick end papers and tight and bright interior leaves. It’s a serious step up from POD (well, POD isn’t even in the same league); a beautiful, durable, work-horse reference book. It’s on par with most of the small press hardbacks I have, and is exactly what you might “expect” to get when a micro-publisher says he’s gonna do a hardback. I reckon 99% of us here would be stoked with it, and rightly so. Thing is… I am that 1% freak. Which is why there was a second prototype in the box. I am going to go further: It’s friggin’ aaawesome! It oozes quality. The matte cover is gorgeous to look at and has a smooth, velvety touch. The paper quality is a whole grade above; it’s heavier and warm-white rather than bleached-white, and has taken more ink so the type looks stronger and is easier to read. It’s section sewn into a square spine, so it opens flat. Damn, it even smells good! To me this book is of an outstanding build quality. I may well be punch drunk on it, but my initial impression is that it holds its own against any RPG hardcover on my shelf. There are a couple very minor nits for me to pick with the binder, but either way this is the kind of book I want Reliquary to be, that I want to own, and that I want to share with you fine folks. Having seen this, I’m absolutely decided: There will be a DD hardcover edition. And it will be like this.